This 57-year-old Wickenburg resident began to notice that her drooping eyelids were impacting her vision, and sought out help from Emilio M. Justo, M.D., and the Arizona Eye Institute & Cosmetic Laser Center. 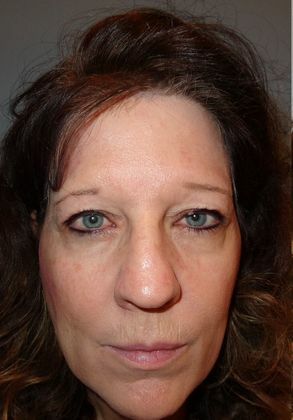 Dr. Justo performed upper eyelid surgery, restoring the original contour of her eyelids and her lost peripheral vision. The patient is thrilled with the results and is enjoying showing off her beautiful eyes once again. 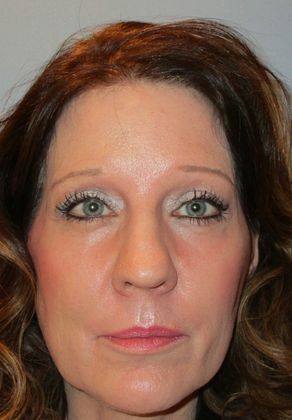 Because Dr. Justo uses a CO2 laser during the procedure, the patient was also able to get Laser Skin Resurfacing during the same procedure, which dramatically improved her skin's health, tone and appearance.